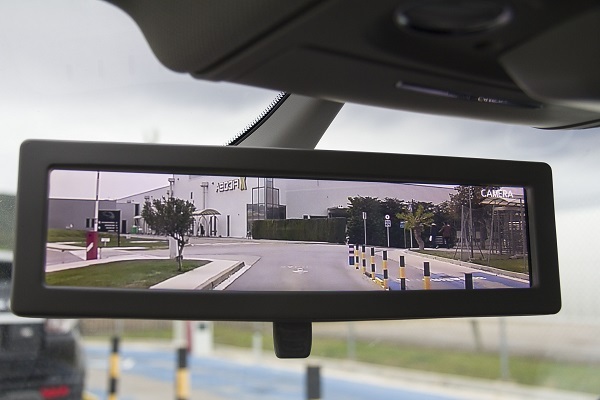 Ficosa and Panasonic have announced an agreement with BMW to provide their co-developed Interior rear-view mirror with electronic toll collection (ETC) 2.0 for the new X5 model in Japan. The ETC 2.0 Interior rear-view mirror, which includes an improved built-in unit for motorway tolls automatic payment, has been selected by the German manufacturer as a standard in Japan for its new BMW X5, which was released there on February 27th of this year. This vision solution will be developed and produced between Japan (Panasonic) and Barcelona, Spain (Ficosa). For this new product generation, Panasonic develops ETC wireless communication technology while Ficosa is in charge of the mirror technology. Intended for the Japanese market, this rearview mirror allows to manage the payment of highway tolls due to the integration of an electronic toll system with credit card. In that sense, the mirror has a slot to insert the credit card and incorporates a small screen at the top that reports the amount to be paid. Ficosa and Panasonic have also announced that they will continue to move forward with their collaborations to expand their line-up and sales of jointly developed products for OEMs.